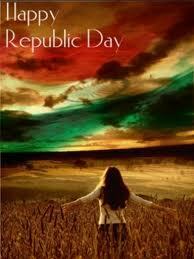 On this Republic Day let us take the Pledge to create a healthy and safer environment for women all around us. Let us pledge to give them Freedom and a Happy life. Make the world free of crimes against Women and Children. Starting from home, let us give respect to our mother and sisters and other relatives. Try to understand their feelings. Give value to their ideas and suggestions. Try to keep them happy by attending to their needs. Don't keep them confined to the kitchens. Give them a helping hand in all their work and make them comfortable and feel free from stress. Treat them with equality and discuss all matters with them as with friends. At workplaces and around the society also, let us be good-natured and healthy minded. Treat women with respect like we treat our mother and sisters. Protect them from ill treatments and humiliations. Give help to them when the need arises. Don't let them fight it alone and leave to their fate. Do not differentiate between a boy-child and the girl-child. Give education to the girl child until she likes to pursue it with the same equal importance as that of a boy. Do not press her to look after the household work while she is concentrating on studies. Abolish early marriage practice and dowry system in marriages. Involve the girl participation in discussions while choosing her life partner. Do not put pressure on her in determining the choice of her life partner. Our Police and judicial systems should also vow to attend to the problems of women promptly without lingering over the pros and cons of the legal formalities. They should be ever ready to assist the victims and bring culprits to the book immediately. And never give them grief.